A mental model is a framework for thinking about phenomenon in the real world. For example, imagine learning about the swim bladder of a fish and constructing a mental model to explain the way it works. You liken it to the Buoyancy Control Device (BCD) that scuba divers use to control their vertical movement, inflating and deflating their BCD at will to displace water and move up or down. Munger likes to talk about having a “latticework of mental models.” It’s not enough to just have one or two models because then you will torture reality to fit your model, a bit like when a child tries to force a jigsaw piece into a spot that is ill-suited. Instead, it’s imperative to have numerous models that you have filter your experiences through. Superior investors operate in this manner, allowing the models in their head to act as a sort of early-detection system when it comes to picking out lucrative opportunities. If you want to be successful at investing in the stock market, there are a few mental models that Munger highlights as being necessary for success. There are about 100 models, across multiple disciplines, that when put together will carry about 80% of the weight in making you a successful investor. Here a few to get your appetite going. Also known as the ’80-20′ rule, this model tells us that 80% of your outputs tend to come from 20% of your inputs. The principle comes from an Italian economist, who noticed the connection when he wrote about how approximately 80% of the land in Italy was owned by just 20% of the population. Students of business have a similar rule of thumb: 80% of your sales come from 20% of your clients. People respond to incentives, plain and simple. An example that illustrates the power of incentives to change behavior comes from the transportation of prisoners to Australia in the 1860s. According to the Foundation for Economic Education, ship captains were paid a fee for every prisoner they took on board and were responsible for transporting them to the land down under. Sadly only 40% of all the prisoners survived the journey. As soon as the ship captains were paid for every prisoner that made it to Australia alive, the survival rate increased dramatically, reaching as high as 98%. It’s no surprise that Munger, a Benjamin Graham disciple, values the idea of margin of safety. The idea of buying a business for below its intrinsic value is one that endures as a successful approach to investing. By identifying value in this manner, investors can control their downside risk while placing themselves in the perfect spot to earn superior returns. 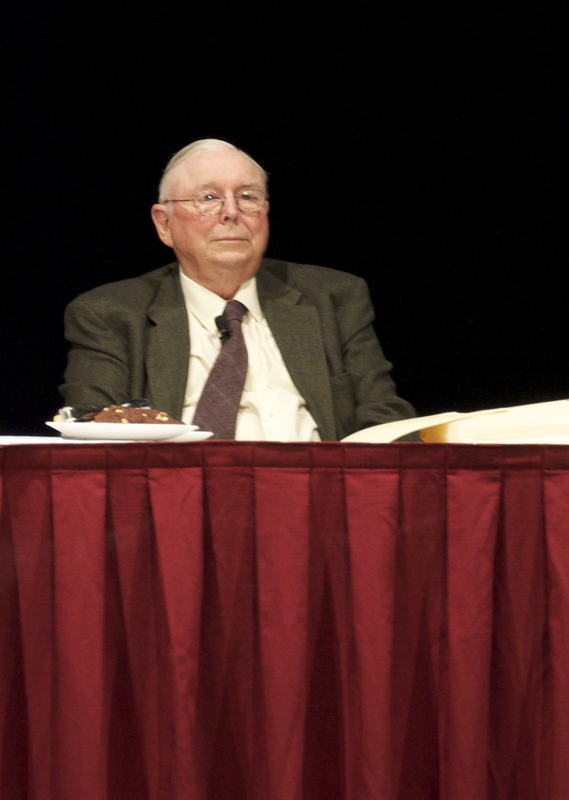 Munger believes that investors should think as far ahead as possible. People tend only to see what’s right in front of them, not spending enough time considering the second and third-order consequences of their decisions/investments. One way to get around that is through scenario analysis. This is kind of like playing what-if. What if the worst case scenario were to occur? This type of analysis seeks to understand the risk involved in investing while identifying areas where the investor can limit said risk. For example, imagine a value investor considering an investment in Microsoft. What-if analysis can take the form of examining company valuation across a range rather than just one value per parameter. The simplest way to think about this is to imagine arriving at Microsoft’s intrinsic value using their average earnings growth rate over the last ten years. What-if analysis might look at the full range of possibilities, from the worst-case growth rate to the best-case. Red-teaming is a process by which vulnerabilities can be identified. This idea comes from the military, where the red-team refers to the team that roleplays as the enemy attacking force. Investors can use the concept of red-teaming to help future-proof their investments. By identifying and then attempting to account for vulnerabilities, an investor can hope to mitigate against risk. If you owned a delivery business, you would probably rush to buy the best insurance for your vehicles. You want to protect your investment if something goes wrong. The concept of future-proofing an investment is closely tied to what-if analysis and the intelligent value investor knows that having a healthy margin of safety is often the first step toward future-proofing an investment, but there are other things one can do. For example, an investment in an oil and gas exploration company, no matter how much of a bargain it is, is always going to be threatened if solar and battery technology becomes inexpensive and ubiquitous. One might future-proof their investment by attaching a probability to that potential outcome and investing an appropriate amount in green-tech. The other way to future-proof your portfolio is to not invest in companies that might be profitable now but not well-placed for future disruption. The best example would be a company that relies heavily on human labor to drive profits. A dominant trend like automation means that a business like this is not ideally placed for the years to come. There are many essential mental models that investors need to be aware of. Charlie Munger urges investors to draw on the best insights from multiple disciplines such as mathematics, biology, physics, and chemistry, putting them all together to broaden their thinking and skill set.